All Phase Restoration is Colorado’s premier company when it comes to Repairing Water Damage to homes and commercial properties. The recent floods in Colorado have devastated parts of 17 Colorado counties, and caused an estimated $1 billion in damage. Many buildings will have to be completely torn down in the wake of these floods, but most can be salvaged by qualified professionals. 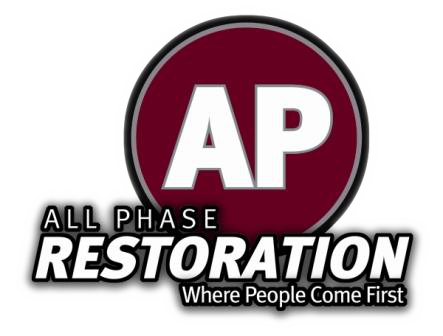 All Phase Restoration was established in 2003 and is family owned and operated. They are celebrating their 10th year in business by donating a portion of every water or sewage loss they complete to clean water charities. All Phase Restoration has three locations including one in Windsor, Englewood, and a contents lab in Frederick. They service most of the areas affected by the recent floods and are working around the clock to restore properties as the flood waters recede. Brothers, Bob and Jeff Mauck, founded the company and have many years of experience dealing with the unpredictable Colorado flood season. 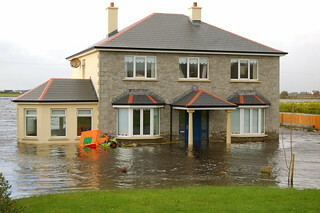 All Phase Restoration has a four step process when dealing with flood damage. First they extract water, and/or sewage from the property. They then disinfect or remove all affected materials – this is extremely important, or many problems will persist. They then dry out the structure and all of the contents. Finally, they monitor the drying process. All of this must be done, or there could be mold growth and wood rot problems down the line. If mold is already a problem – All Phase Restoration also specializes in Mold Remediation Services. Mold often results when water damage was not properly mitigated – that is why the clean up process after a flood is so important. Mold is often a very difficult problem to deal with and can cause serious health risks. For this reason, All Phase Restoration works closely with Industrial Hygienists to correctly identify and eradicate the problem. All Phase Restoration has an A+ rating from the Better Business Bureau. The company not only restores properties from water damage, but also fire damage. They are certified to do asbestos testing, lead abatement and mold remediation. All Phase Restoration is also one of Colorado’s top roofing companies. They can dispatch people from any of their three Colorado locations to evaluate and provide an estimate for flood damaged properties. If in need of restoration services in Colorado, call All Phase Restoration at 970-213-1900 or 303-682-0246 for the Northern Colorado and Boulder areas, or 303-749-5830 for the Denver Metro area. All Phase Restoration started out in 2003 by brothers Bob and Jeff Mauck. Today they have grown to a BBB A+ Rated, full-service restoration and reconstruction company. they have three Colorado locations: one in Windsor, one that houses their Contents Lab in Frederick and one in Englewood that serves the Denver Metro area. No matter how big All Phase Restoration gets, they will always stay true to their beginnings as a family-run company that values people over anything else.